One of the most magical elements of the holiday season is that it offers a time for reflecting upon, and expressing gratitude for, the most cherished aspects of our lives. For many of us, that includes our careers! The dental industry in particular offers a truly unique and special combination of people, places, and growth opportunities. 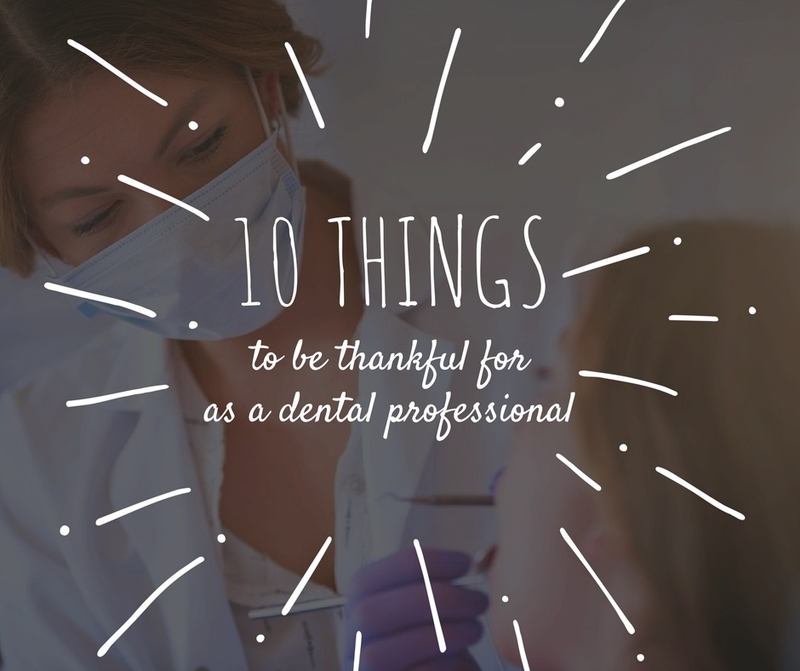 We hope this list of 10 aspects of life as a dental professional leaves you feeling extra grateful to be a part of such a wonderful field! 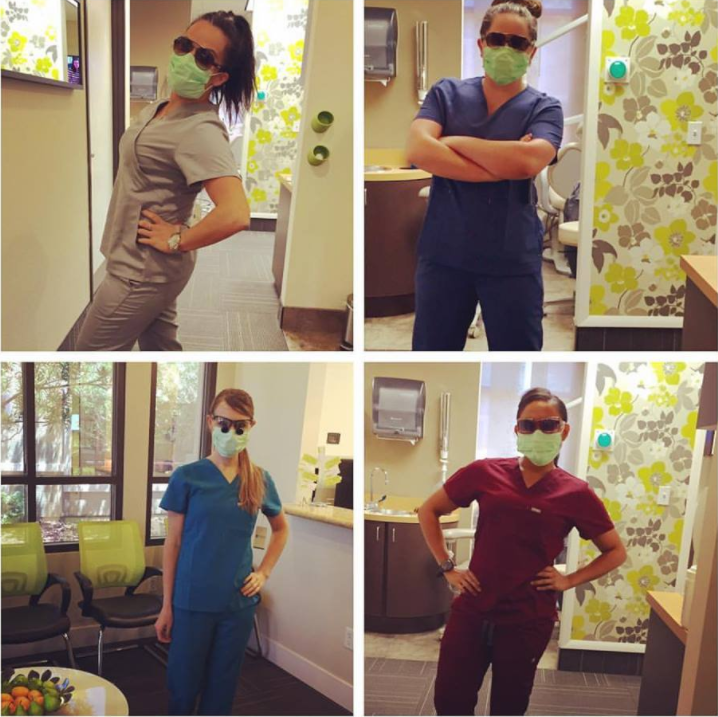 Say “seeya” to starchy suits and sky high stilettos: in the dental world, we close deals in scrubs and tennies. Besides being comfortable to wear throughout the day, scrubs save the time and mental anguish that tends to accompany selecting a new, clean outfit to wear every morning. “Did I wear these same pants yesterday?” Yup, you DID, because you get to wear the same pants EVERY day! Additional benefits of rocking scrubs all day: promotes a sense of team unity, saves money on the purchase of new wardrobe pieces, and keeps you and your patients protected from infection. The peace of mind that comes with making a comfortable, stable living, is priceless. Some factors that contribute to an ideal livelihood include a good salary, plenty of benefits, solid job security, a convenient location, and ideally work that makes you feel good. Careers in the field of dentistry address all of those elements! 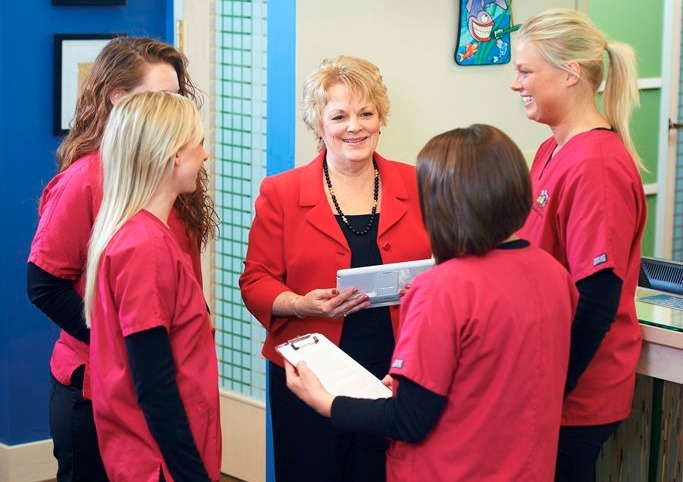 Dental Assistants: The Colorado Dental Assisting School expresses many of the benefits of this position expertly. “Dental assistants enjoy a hands-on working environment, regular working hours in the healthcare industry, and, of course, the potential to transform the lives of their patients.” Most reap additional benefits like paid vacations, health care, a pension, and, go figure, free dental care! 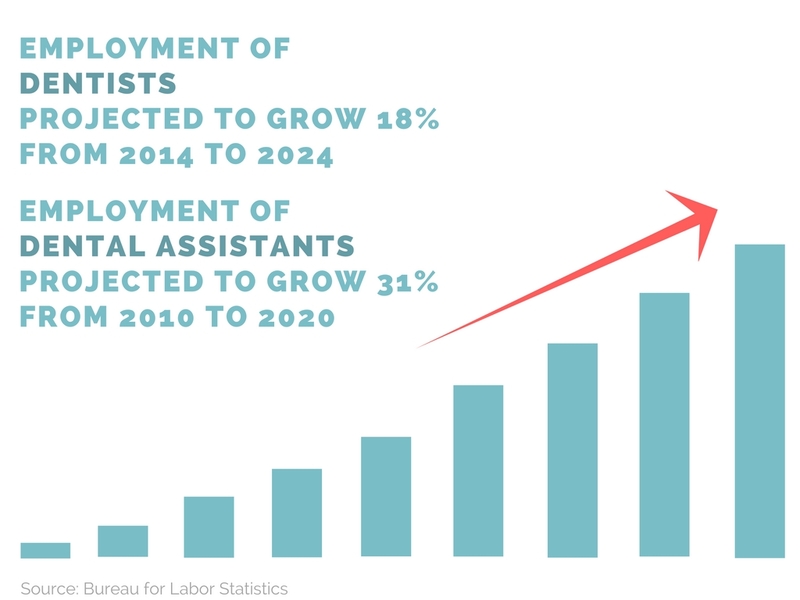 According to the Bureau of Labor Statistics, a part of the US Department of Labor, the job outlook for dentists is as follows: “Employment of dentists is projected to grow 18 percent from 2014 to 2024, which is much faster than the average for all occupations. The demand for dental services will increase as the population ages, cosmetic dental services become increasingly popular, and access to health insurance continues to grow.” Check out additional growth projections in the chart above. Everyone needs dental care, and the demand for dentists continues to grow as the population grows and more people begin to seek out the dental care that they need. Now there’s a recipe for job success! 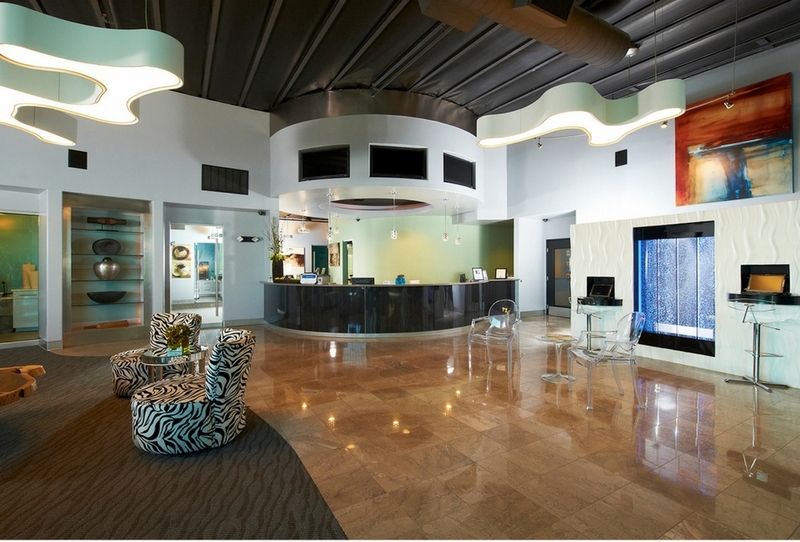 As you and your team work to create beautiful, healthy smiles, you directly improve your patients’ oral health, and their quality of life along with it. There aren’t a lot of professions where you can have that level of direct and immediate impact on your customers. 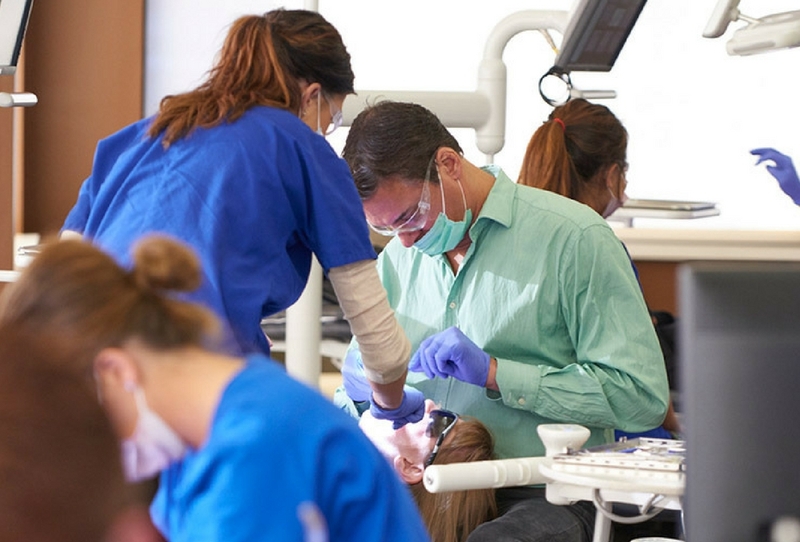 With many jobs, caring about what you do is an added benefit – in the dental field, you have to (and “get to”) care! Furthermore, with the collaboration and support of your team, you have the opportunity to pursue the treatment philosophy/approach to care of your choosing. Every time a young patient comes to visit, you’ve got the floor to underscore how important it is to keep up with regular care and cleanings, both at home and in the office. 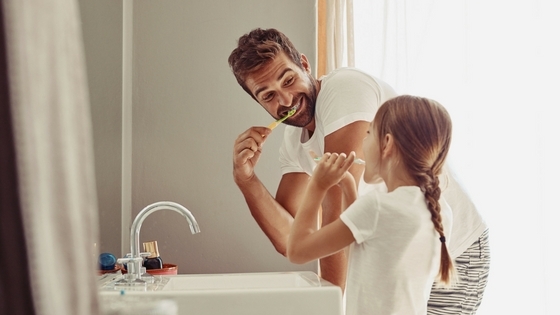 Inspiring these healthy habits at a young age will help patients grow into healthy adults – for as we know, oral health affects your whole body! 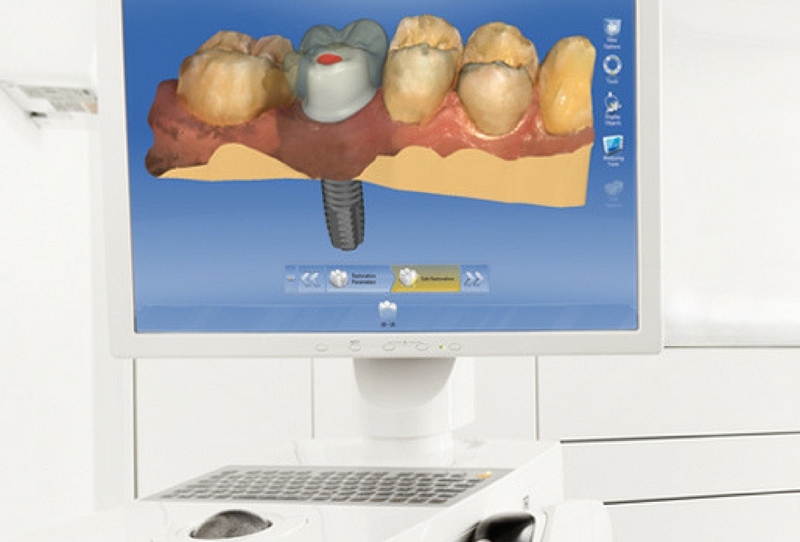 The healthcare industry has access to the latest technology before most other fields get to “tinker.” Whether it’s a smaller gadget like movie goggles to entertain uneasy patients, or a larger piece of equipment like a CEREC system, a digital imaging unit, or cloud-based practice management software and apps, all of this technology is in place to increase patient comfort, as well as your practice’s efficiency and output. Plus, let’s be honest…lasers are cool! In many large office settings, you might share some small talk with a coworker at the water fountain or exchange a smile in the cafeteria, but there are plenty of people in your building that you may not ever meet! Compare that to the tight-knit crew that makes up a dental practice’s team. Here, you function as each other’s daily support systems – both professional and often times personal. Balancing front desk clerical duties with operatory clinical demands can be tough work, but when you view your colleagues more like members of your family, where everyone values and respects one another’s contributions, it’s easy to fall into a productive flow and the work becomes more than manageable! Coworkers aren’t the only support systems in abundance in the dental field. There are also a plethora of professional groups and organizations ready to provide technical assistance, marketing expertise, or continuing education opportunities. 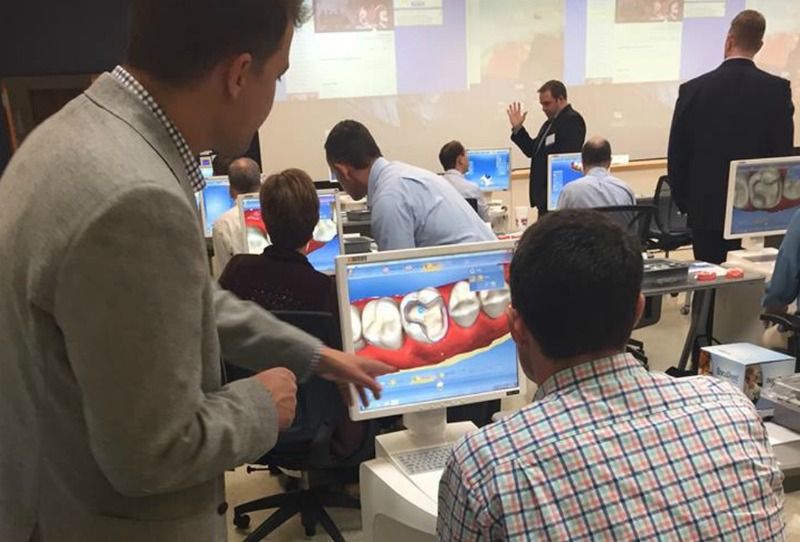 Entities like AADOM (the American Association for Dental Office Management) and CEREC Doctors connect you to a network of like-minded peers and continuing education classes, while trusted business partners like Patterson provide products, services, and the professional support you need to help your practice grow and thrive. 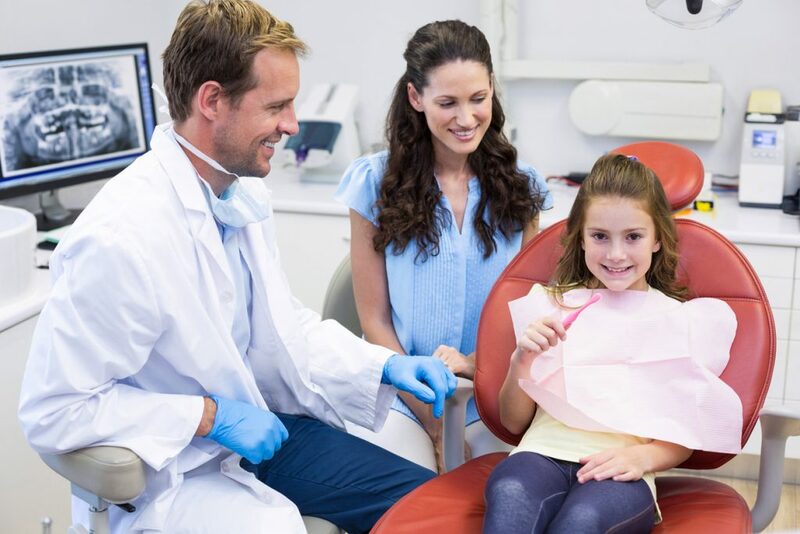 Should you wish to volunteer your dental services, there are so many worthy organizations to connect with, who will always be grateful for any support you can provide. Just as you make a direct impact on the life and health of the patients you treat at your practice, you can align with any one of these groups that strive to make a similar direct impact on members of the community in need. A few we suggest exploring are listed below! 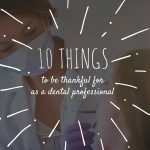 From physically beautiful work spaces and relaxed attire, to stellar job security, ample opportunity for professional development, and the chance to have a positive impact on the health of those you serve, we’re with U.S. News & World Report: dental industry jobs are some of the best in the country! We’re grateful for the holiday season for giving us this time to reflect, and thankful to have all of you as readers and as customers. Have a Happy Thanksgiving, and let us know what aspect of dentistry you’re most thankful for in the comments below! Excellent article! I love my job in dentistry for all these reasons 🙂 Thank you! Thank you so much for your sweet comment, Marie. Loving your job leaves you among the truly lucky! I am thankful for all of these things too! America’s Dentists Care Foundation is so honored to be mentioned! 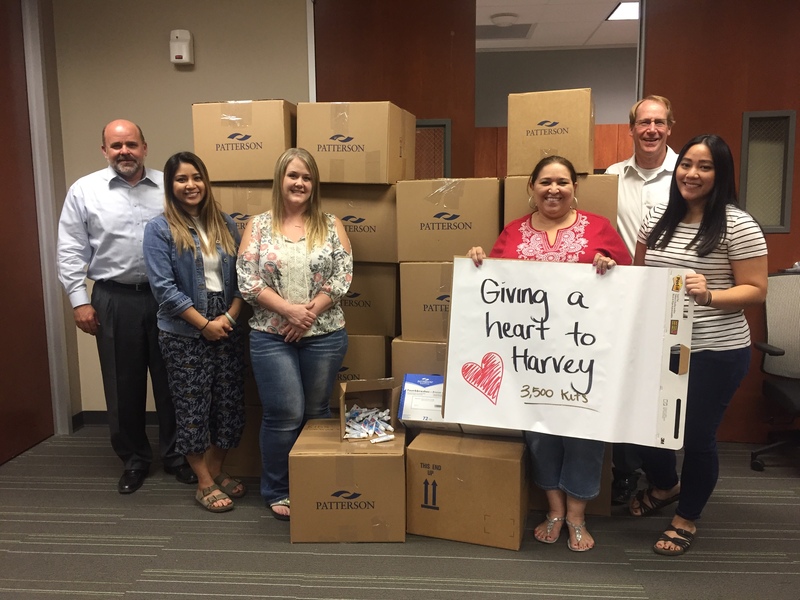 We’re also honored to take part in so many Mission of Mercy free clinics throughout the United States to help the underserved get much needed oral health care.